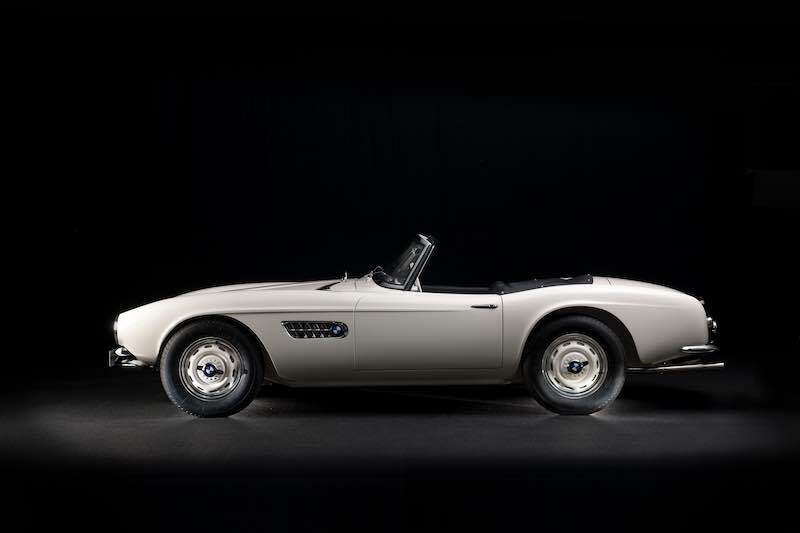 The newly-restored 1957 BMW 507 Roadster of Elvis Presley will be displayed for the first time in public at the 2016 Pebble Beach Concours d’Elegance, to be held Sunday, August 21st at the Pebble Beach Golf Links in California during Classic Car Week. Already famous, and serving an obligatory two-year hitch in the Army, Elvis was stationed in Germany when he witnessed hillclimb champion Hans Stuck race a 507 at the Autodrome de Linas-Montlhéry in the south of Paris. “The King of Rock n’ Roll” leased that same roadster in December 1958. 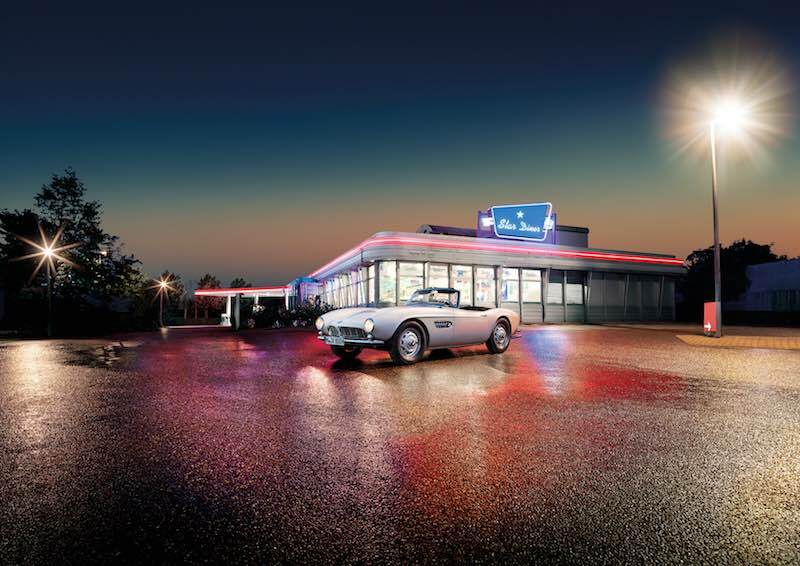 Elvis used the BMW 507 to drive between his home in Bad Nauheim and the US Army Base in Friedberg. His female fans always kept a close eye on him and he was often mobbed by them. The paintwork of the roadster was frequently daubed with messages of love painted in lipstick. These signs of adoration were by no means unusual for a rock star but they were an embarrassment to Presley as a young US soldier. A new livery in Red for the vehicle solved the problem. In March 1960, Elvis Presley ended his military service in Germany. Back on American highways, he must have abandoned sheer driving pleasure in an open-top BMW since a few months later he traded in the red roadster bearing chassis number 70079 with a Chrysler dealer in New York. The dealer in turn sold the car for the low price from today’s perspective of $4,500 to radio moderator Tommy Charles. Charles took the automobile to his home town of Birmingham in the state of Alabama where a successful racing career began, although this move was questionable when it came to the issue of authenticity. 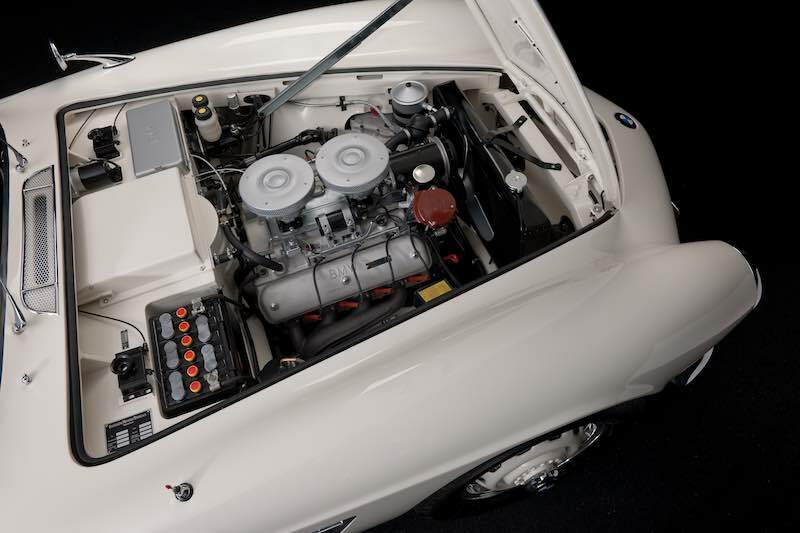 The BMW 507 was fitted with a Chevrolet engine in preparation for action on the race track. This took up so much space that parts of the front frame carrier had to be cut out. The gearbox and the rear axle, and the instruments in the cockpit were replaced. Charles won a race in Daytona Beach, Florida with the radically modified roadster and he lined up on the starting grid in several more competitions before selling the vehicle in 1963. Two more changes of ownership followed and the BMW 507 then went to California. Space engineer Jack Castor acquired the car in 1968 and he used it occasionally as a runabout for everyday use before deciding to put the car into storage for a subsequent restoration. Castor was a passionate collector of historic bicycles and over the years he also amassed a collection of classic automobiles in Half Moon Bay to the south of San Francisco. He got involved with several classic car clubs and delved into the history of the vehicles he had acquired. Maximum authenticity was also the objective in painting the vehicle. 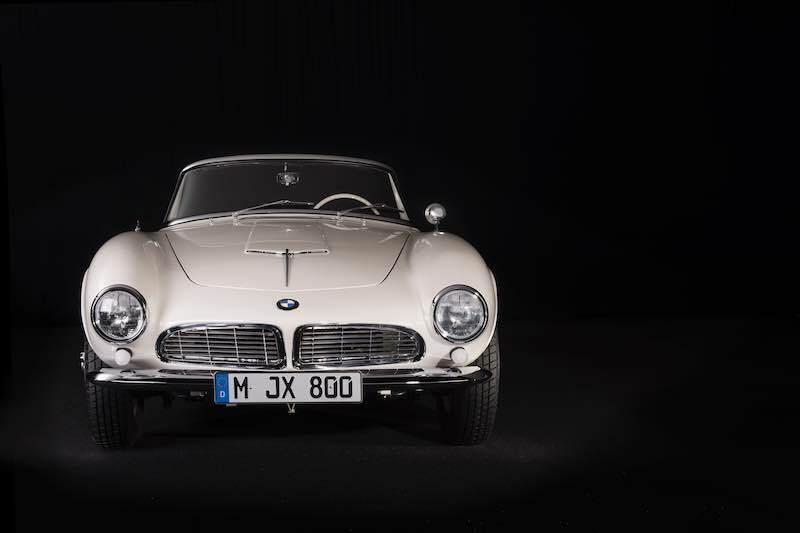 The BMW 507 is now finished once again in Feather White. The primer coat, the filler and the top coat were not applied by the methods that are commonplace today. Rather, they were implemented in a procedure that corresponds to the technology in use some 60 years ago. This enabled the excessive colour brilliance to be avoided which is considered desirable nowadays but is inappropriate for classic cars. 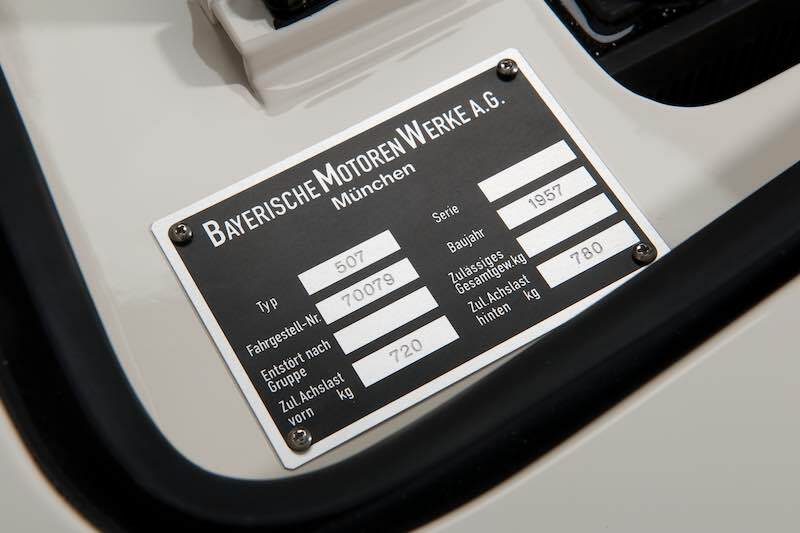 Similar to the reconstruction of the V8 engine and the use of true-to-original parts and production procedures, the selection of paintwork also corresponds to the conditions defined by Jack Castor. Right from the start, he wanted to restore the roadster to the original condition it was supplied in back in 1958. However, his aspiration to be able to see the BMW 507 through the eyes of the “King” remained unfulfilled. Jack Castor passed away at the age of 77 in November 2014. 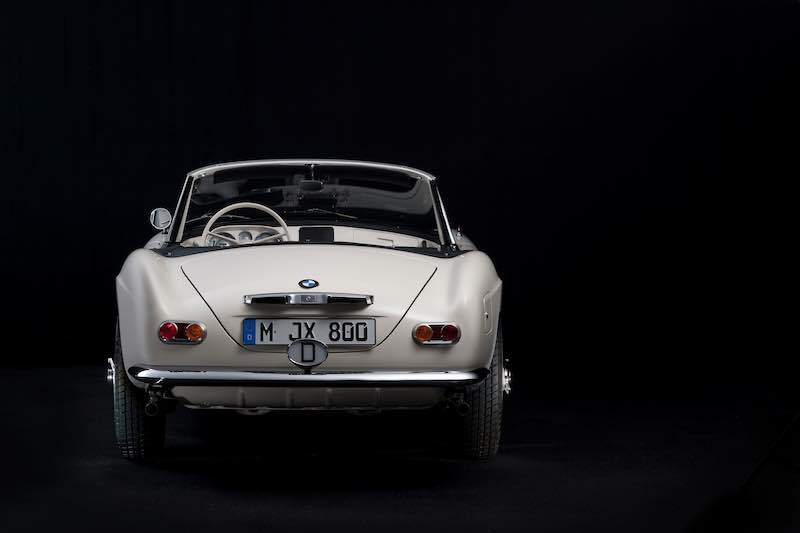 The BMW 507 will be presented there for the first time not simply as the automobile of the “King”, but also as the legacy of Jack Castor and a masterpiece of BMW Group Classic.